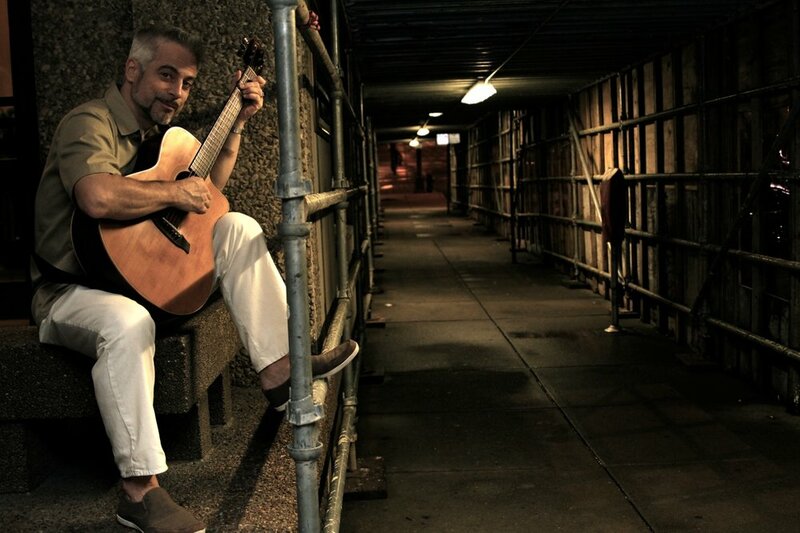 Sean is a musical Artist and guitarist living in the New York City suburb of Jersey City Heights. He composes and arranges music for solo guitar and for small ensembles, and accompanies many singers, musicians, and theatrical productions. Sean Harkness left Burlington, VT for New York City in 1994 to immerse himself in their music scene. 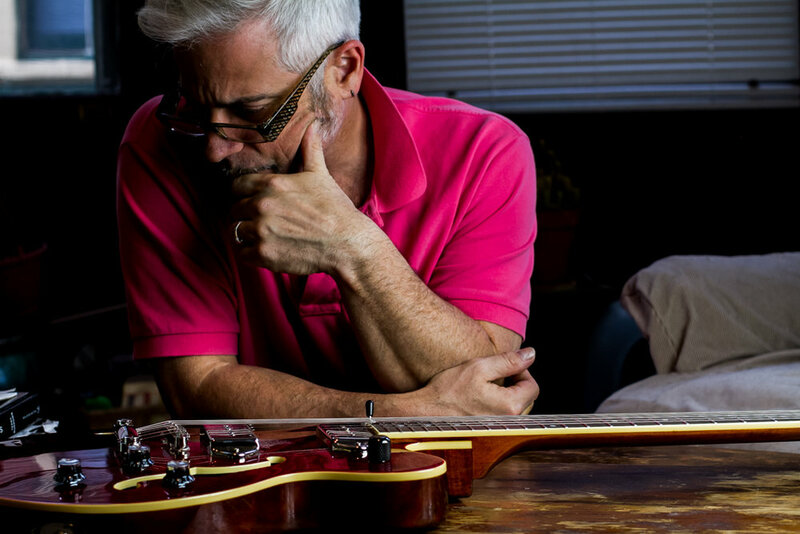 Known especially for duets and ensemble work with singers from Broadway, television, and screen, Harkness is now a first-call guitarist who compliments a dazzling client list of artists and productions worldwide. 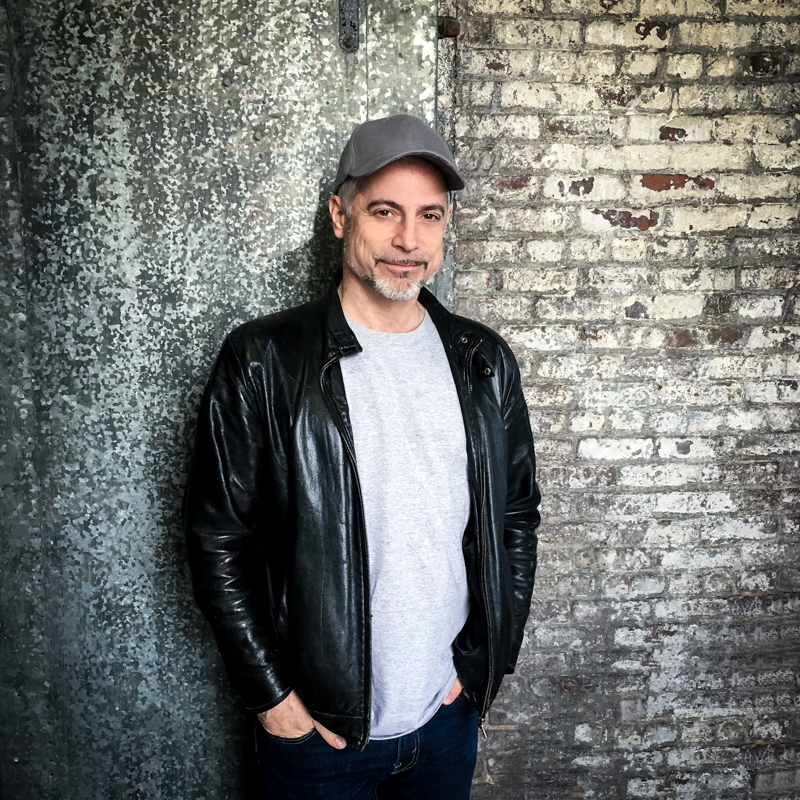 Sean performs extensively both as a solo artist and sideman worldwide, and in New York City’s finest jazz, rock, folk, cabaret, blues, R&B, and singer/songwriter venues. Sean’s first guitar arrived on his eleventh birthday. Within six months, he had a weekly theater engagement in Bridgeport, CT. After high school bands and studies with Brian Keane and Sal Salvador [Stan Kenton Band], Harkness studied at Berklee College of Music in Boston. Then after a year of busking the streets of Europe, Harkness moved to Vermont where for five years he worked in the shop assisting master guitar builder Chip Wilson. After hearing Sean perform, Randall B. Plourde invited him to study guitar technique. Randall helped Harkness develop a signature touch on the instrument that caught the ears of Windham Hill Records and other producers. At home in New York City, Harkness recently garnered the Outstanding Instrumentalist of 2011 Backstage Bistro Award, 2014 Broadwayworld Cabaret Award for Best CD Release, five MAC Awards [Manhattan Association of Clubs and Cabarets] for ensemble instrumentalist, his solo shows, and most recent CD with duo partner, Canadian trumpeter Mike Herriot. Sean represents Washburn Guitars, DR Handmade Strings, Fishman Pickups, Graph Tech hardware, and George L.’s cables. Walden Guitars featured Harkness on the covers of their 2011 and 2012 catalogs, and Cabaret Scenes Magazine ran a cover/feature article about him in their 2012 Nov/Dec issue. International guitar artist Sean Harkness is in high demand as a performer/composer on solo guitar, and accompanies an astonishing array of world class vocalists, musicians, and ensembles. Sean’s multiple awards include the coveted MAC, Bistro, and BroadwayWorld.com awards. Harkness represents Washburn guitars and DR Strings, and has eight commercial releases as an artist, many on Windham Hill Records [BMG/RCA/Sony]. Sean has an active international touring schedule – most recently including Africa, the Caribbean, and Japan – of concerts, clubs, festivals, corporate events, and intimate private home salons or fundraisers. A musician’s musician of exceptional versatility, Sean is often requested to teach Guitar Master Classes and music workshops. www.seanharkness.com. International guitar artist Sean Harkness is in high demand as a performer/composer on solo guitar, and accompanies an astonishing array of world class vocalists, musicians, and ensembles. “Harkness gives full expression to the mood of the moment.” -Stephen Holden, New York Times “Sean is a technical virtuoso who’s Joe Pass / Tommy Emmanuel fingerstyle approach is always in service to telling a story or creating a feeling within the song; he transcends many genres and can touch listeners of many backgrounds.” -Jazz Inside New York. Sean’s multiple awards include the coveted MAC, Bistro, and BroadwayWorld.com awards. Harkness represents Washburn guitars, DR Strings, Fishman Pickups, and George L.’s cables. He has eight commercial releases as an artist, many on Windham Hill Records [BMG/RCA/Sony]. Walden Guitars featured Sean on their 2011 and 2012 product catalog covers, released a Signature 12-string guitar in Europe, Asia, and North America, and his B-1 Baritone Acoustic guitar. Sean has an active international touring schedule – most recently including Africa, the Caribbean, and Japan – of concerts, clubs, festivals, corporate events, and intimate private home salons or fundraisers. A musician’s musician of exceptional versatility, Sean is often requested to teach Guitar Master Classes and music workshops. www.seanharkness.com. In addition to featuring Sean on the cover of their 2011 product catalog, Walden Guitars released both a Sean Harkness Signature 12-string guitar in Europe, Asia, and North America, and a brand new B-1 Baritone Acoustic guitar. Each year Sean performs in concert halls around the country with other Windham Hill artists such as Liz Story, Will Ackerman, Barbara Higbie, Jim Brickman, Tuck & Patti, David Arkenstone, and Samite. Sean has appeared as an artist and sideman extensively in New York’s finest jazz venues including the Blue Note, Smoke, Small’s, the Jazz Standard, Birdland, Iridium, Feinstein’s, Edison Ballroom, Mile’s Café, the Metropolitan Room, St. Nick’s, and Top Of The Rock at Rockefeller Center. 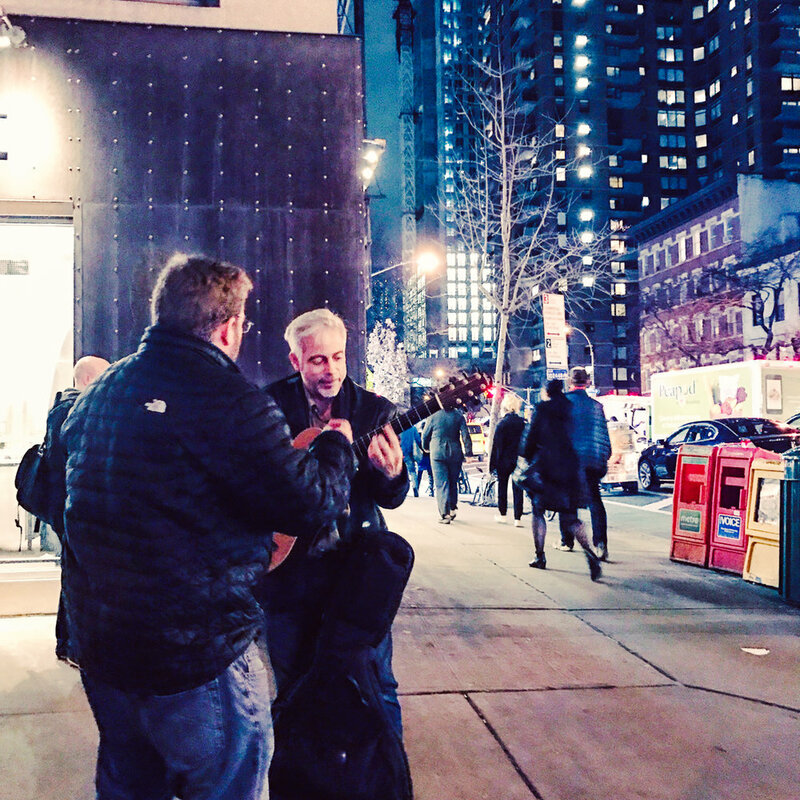 The Cabaret community has embraced Harkness in all its venues in New York, including special events at Lincoln Center and Carnegie Hall. Mr. Harkness also appears regularly in any of New York’s folk, rock, and singer/songwriter clubs such as the Cutting Room, Joe’s Pub, Bitter End, Mercury Lounge, Rockwood Music Hall, the Living Room, Bowery Poetry Club, P&G, and Shrine. Sean was the guitarist in Contemporary Jewish icon Debbie Friedman’s band until her untimely passing in 2011. He continues to perform regularly with Craig Taubman in major congregations nationally. Mr. Harkness also provides a House Concert Series for personalized, private, in-home, concert-like performances. The up-close intimacy brings a unique impact to each event.